was built in 1889 in Port Townsend, Washington. This Queen Anne features a large, corner octagonal tower. It is currently operated as a bed and breakfast inn. 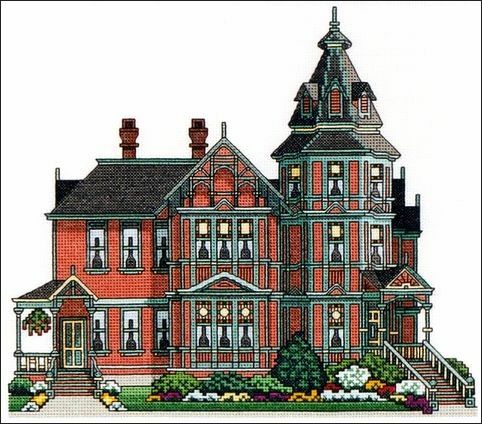 The main colors of the design are terra cotta with green trim. Stitch count is 155w x 135h.